Prime Minister Narendra Modi inaugurated India's first Inland Multi-Modal Terminal Port on river Ganga at Ramnagar in Varanasi and received first container cargo belonging to PepsiCo. It is the first of four Multi-Modal Terminals being constructed on National Waterways-I (NW1) on River Ganga as part of World Bank-aided Jal Marg Vikas project of Inland Waterways Authority of India (IWAI). It enables commercial navigation of vessels with capacity of 1500-2,000 DWT on river Ganga. The Jal Marg Vikas Project (JMVP) was approved in January 2017 for capacity augmentation of navigation on NW-1. It was approved at a cost of Rs 5369.18 crore with technical assistance and investment support of World Bank. Following this, IWAI in February 2018 had signed project agreement with World Bank for Jal Marg Vikas Project. World Bank provided $375 million loan for the project. The project aims to enable commercial navigation of vessels with capacity of 1500 - 2000 tons on NW1. It includes development of fairway, multi-modal terminals at Varanasi, Haldia and Sahibganj, modern River Information System (RIS), strong river navigation system, Digital Global Positioning System (DGPS), night navigation facilities, construction of navigational lock at Farakka. It will result in environment-friendly, fuel-efficient and cost-effective alternative mode of transportation, especially for bulk, hazardous goods and over-dimensional cargo. Its development and operations will provide direct employment generation to 46000 people and indirect employment of 84000 in states of Bihar, Uttar Pradesh, Jharkhand, West Bengal. Q. 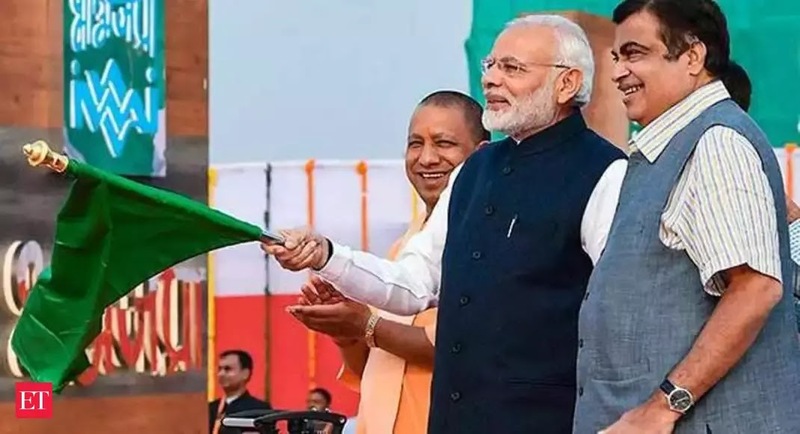 Prime Minister Narendra Modi inaugurated India's first Inland Multi-Modal Terminal Port on which river and received first container cargo belonging to PepsiCo?